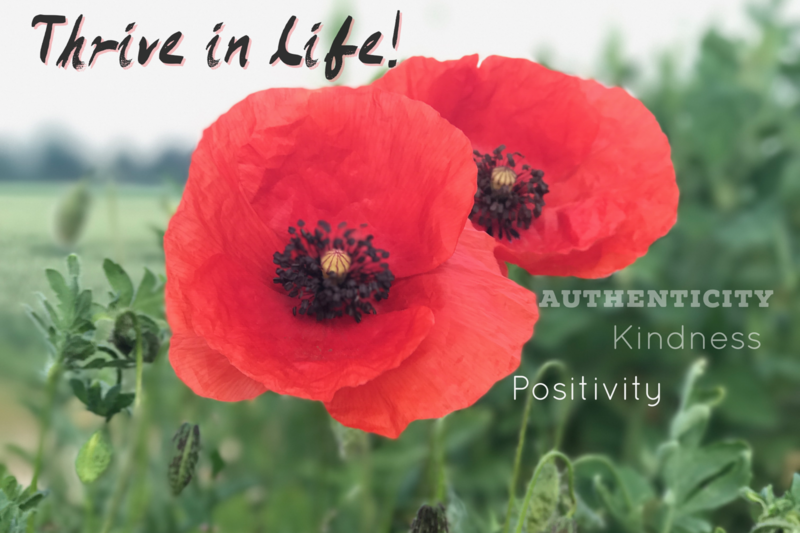 New year’s resolution- be authentic! – Unlock your potential! New year’s resolution- be authentic! Three years ago, an incredible journey started for me. I was not unhappy, but I was not happy either. I wanted to change things in life, but I did not know how. So one of the first things I did, I made the resolution to be more authentic, to be more my “real” self, no matter what other people think. Over that following year, I watched amazing things happen… I built new relationships, got a new job, found new friends, and even found myself getting married to an incredible human being – something I would have never even imagined happen to me three or even two years ago. 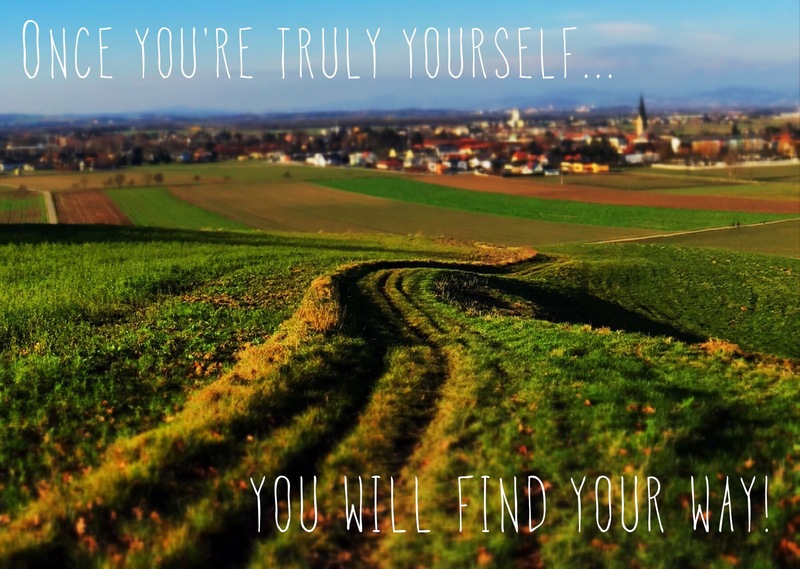 With my post today I want to tell you why it is so important to be the REAL you, to be authentic. Once you start being authentic and take care of your needs and your real self, everything will change, and I will tell you why. When we were little kids, we had flaws, we had a personality, we had qualities that defined us as human beings. 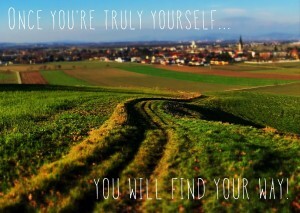 However, while growing up, society influenced you and molded you into your today’s self. However, very often we ended up flexing our behavior; when we grew up, we learned to flex our personality to fit what we think others expect from us. This is a very natural thing. Think of ancient tribes – it was important to be good with everybody, it was vital for your survival; the more people like you, the more they help you survive. However, being grown-up, this can lead to serious issues. When you fake your personality or do not have the courage to stand up for yourself, you only hurt yourself. Once you are aware of who you are, what you want and what you deserve, and start being yourself, it will be an amazing journey for you! You will attract the right partner! Something that happened to me too… When you are able to show your real personality, your flaws, your worst and your best sides, you will attract certain people. Sure, when you fake your personality and are not able to face your fears, you may attract someone… But I can guarantee you that it won’t make you happy. It is exhausting to fake a personality 24/7, to be not able to just be yourself. You might feel unhappy, exhausted, resentful or even guilty when your needs are not met. When you are authentic, you automatically create a consistend experience for other people; just be authentic and real, and you will attract someone who is truly meant for you. Relationships change – you will find your right clan! I had different relationships and friendships three or even two years ago. I was not surrounded by people who really supported me, who wanted to see me succeed. Quite the opposite, they projected their fears onto me, and tried to hold me back. However, the minute I focused on myself and started to be authentic, I lost some of these “friends”. It was a painful process, but trust me: once you are your real self and not subconsciously faking your personality like others want you to be, you will find other friends and colleagues. You will find people who inspire you, who want to help you; you will attract other authentic people who are in line with your flaws and strenghts. Faking your personality (even if it happens subconsciously) is extremely exhausting. Subconsciously, you are always worried about other people’s thoughts, you try to impress almost everybody. It takes a lot of energy, and of course all these worrying can affect your immune system and your health. Once you stop faking and start being authentic, all the worrying stops. You will have a lot more energy for authentic positive things, and you will gain confidence by just being present and yourself. It feels good! Being with the right people will boost endorphins. You will feel good, you look good, and you attract good. Over time, it creates major positive energy in your life! It is true – people do not want to buy fake experiences. When you are authentic, people can trust you, that you’re always you. It will be painful for some, and you should not be afraid to hurt some people with your opinion; however, you will be respected when you are able to speak your truth in a polite way. When you’re not faking something, you are able to connect to people on a deeper level and you are able to build real relationships. Once people feel secure in your relationship, they will trust you and your opinion. You will attract people who want to spend time with you, and you will attract customers and clients who respect you. Faking personalities is vital during adolescence; you experience and try different roles. However, as an adult, it is truly exhausting to fake a personality 24/7, at work and at home. You don’t attract the right partner or the right circumstances at work. Once you start to listen to yourself, to who you really are and your needs, you will be authentic. Being authentic creates real happiness, because you will find yourself surrounded by completely different people: Colleagues and friends who will want to see you suceed, who support you and uplift you. Most important “side effect” – you might find your real love, the one partner that is meant for your and who fits your flaws and your strenghts! You experience real and authentic happiness – just like you deserve! Feel free to talk to me when you need assistance or coaching in finding your real inner needs and live an authentic life. About the writer: Dr. Mario Lehenbauer-Baum works as a Life Coach in Tennessee; he focuses on positive psychology to help people live a better life with greater happiness and authenticity. Furthermore, he currently is a Visiting Postdoctoral Research Fellow at the Vanderbilt University in Nashville/Tennessee, and a Postdoctoral Research Fellow at the Sigmund Freud University in Vienna/Austria. He is a Clinical Psychologist and Health Psychologist as well as a certified Industrial-/Organizational Psychologist (certified by Austria and the Board of Organizational Psychology – Austrian Psychologist Association), a motivational speaker and coach as well as a researcher concerning positive psychology. He is a passionate gamer and uses new technology frequently. His research work combines (Clinical) Psychology/Organizational Psychology and new technology (e.g. online-based social skills trainings) as well as the “side effects” of using new technologies, such as being addicted to the Internet, games or smart phones.